From building forts to sharing secrets to sitting together on the bus, best friends do everything together. So what do you do when your best friend moves away? Will you ever have fun again? Or will you be bored and lonely for the rest of your life? 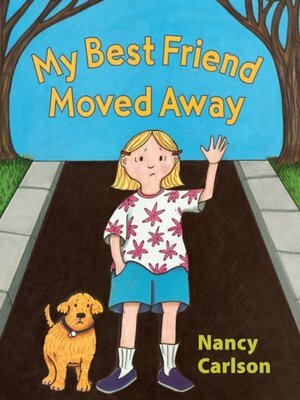 Perfect for coping with those best-friend-moved-away-blues, Nancy Carlson's wise and heartfelt story eases the pain of saying goodbye, while reassuring young readers that they can make new friends even as they keep the old ones close to heart.